↑ Richard Schiffman (12 मार्च 2013). 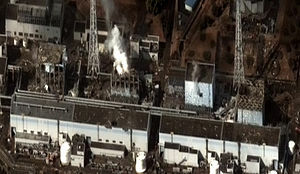 "Two years on, America hasn't learned lessons of Fukushima nuclear disaster". The Guardian. ↑ Martin Fackler (जून 1, 2011). "Report Finds Japan Underestimated Tsunami Danger". New York Times.